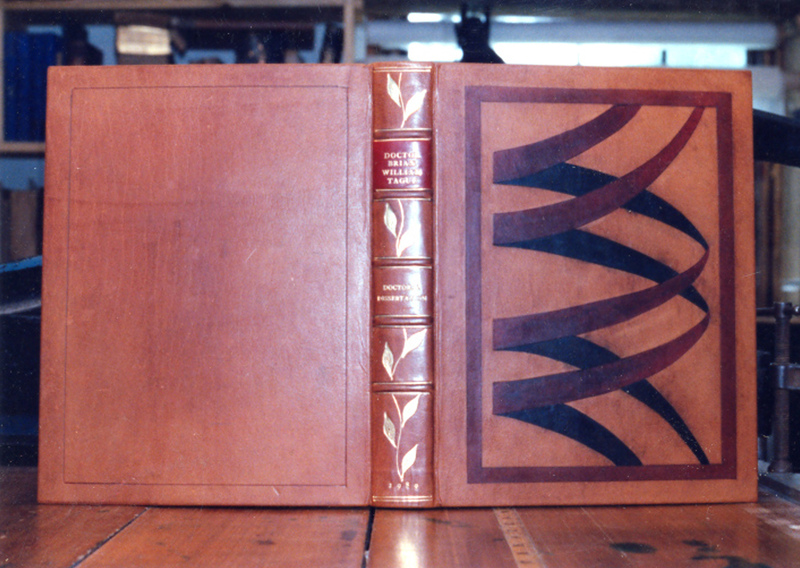 This full leather, custom binding, done in the eighteenth century ‘Cambridge’ style, is blind tooled and dyed. When creating a newly-bound book, or rebinding an old book, the options for cover materials and decorative touches are numerous. 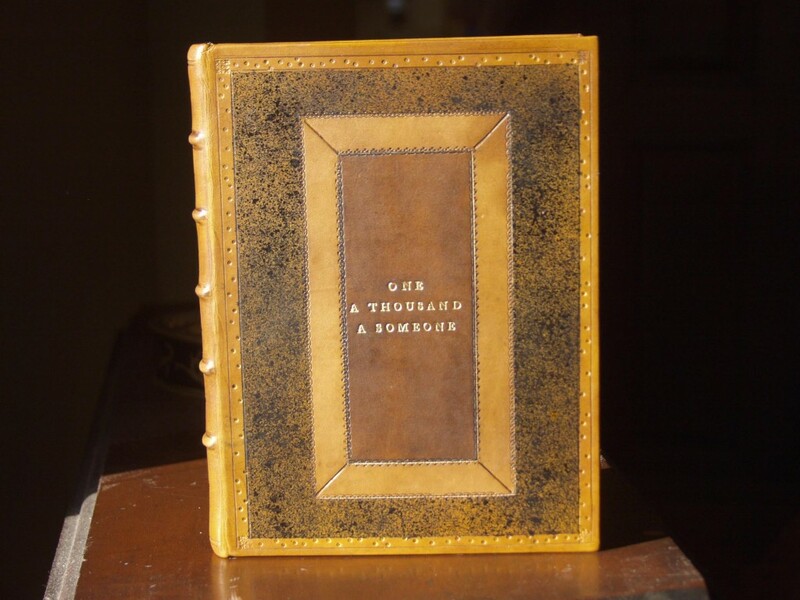 Alternatively, the cover can be decorated by printing an image and/or text on the cloth or paper binding. The binding process can start with nothing more than a stack of loose sheets of paper, ready to be made into a fullbound volume…or with an already existing book whose cover is beyond repair. Inlaid leatherbinding with raised cords and gold tooling.